These are always active, as they are essential for the functioning of the website. They allow us to record your preferences as you browse the website during an individual session or, if you so request, from session to session. They also speed up the operation of your shopping trolley and the purchasing process in general - in addition to providing security and ensuring that legal requirements are met. These optimise the performance of the website by monitoring its use. In some cases, they speed up our handling of your orders, because they enable us to record the preferences you select on the website. You should activate these if you would like to receive recommendations tailored to your preferences, and also to keep the operation of the website at optimum speed. These are cookies that allow you to connect to your social networks to share the content of our website there, and cookies that gather information to enable us to tailor our advertising to your interests - not only on our website, but on other, external websites. In certain cases, cookies involve the processing of your personal details. Activate these cookies if you would like to be able to open a session smoothly and easily on your social networks, to share content and to see advertising that reflects your interests. El Teleférico no estará operativo los días 15 y 19 de mayo. Te recomendamos la excursión Astronomic Tour. No te pierdas nuestra actividad Geólogo por 1 día este domingo 15 de abril. Check the access restrictions to the Park during the mouflon population control operation here. What do you think about spending a day at the best zoo in Europe and in the world? If you’re excited about the idea, our Loro Parque transfer service will take you from Santa Cruz to Puerto de la Cruz and we will ensure your entrance to the grounds of Loro Parque, the famous adventure and animal park in Tenerife, with your Loro Parque tickets with transport included. The Loro Parque zoo, in Puerto de la Cruz, is the perfect place if you want to have a great time and feel the excitement of discovering the habitats of countless animals and enjoying the four incredible shows featuring orcas, dolphins, sea lions and parrots. Loro Parque is much more than just a zoo. Discover it by booking your Loro Parque tickets with transport in advance! It is home to a wide variety of animals living in an environment of exceptional beauty, among tropical palms and lush exotic vegetation, surrounded by Thai architecture. But Loro Parque is also the first park in the world to be awarded the Animal Embassy environmental certificate for its approach to nature and the environment. Have a great time watching the Orca Ocean show. The spectacular acrobatics performed by the Loro Parque orcas, included in your Loro Parque tickets with transport, will leave you lost for words! Take a walk in the treetops surrounded by various species of exotic birds following an authentic jungle itinerary known as Katandra Treetops. Marvel at the majestic recreation of the penguin’s natural habitat in Planet Penguin, with its iceberg, snow and over 200 penguins. You will feel as if you had travelled to Antarctica! Enjoy the Loro Parque dolphin show included in your Loro Parque tickets with transport, which will make you smile at the extraordinary intelligence and skills of these marine mammals! Feel like a fish in the water while strolling through the shark tunnel and aquarium. A sensational variety of exotic fish and corals awaits you. Laugh out loud at the funniest show in Loro Parque: the sea lion show. You will fall in love with their games and intelligence! Enjoy the intelligent Loro Parque parrot show included in your Loro Parque tickets with transport while you learn about the importance of forest conservation. And if you have children, enjoy watching them having adventures in Kinderlandia, an attraction included in your Loro Parque tickets with transport that resembles an African village, where your children can slide down a snake slide, enjoy the jungle, climb up to the tree huts and balance on hanging bridges. Our Loro Parque + Transfer tour is the perfect excursion for cruise passengers. It includes Loro Parque tickets with transport from the capital of Tenerife, so that you don’t have to worry about anything else than enjoying this exceptional zoo. Get off the boat and straight on board our vehicle. Forget about having to rent a car to be able to drive to Puerto de la Cruz. And forget about having to queue at the entrance to the zoo to buy your Loro Parque tickets. They are already included! Our guide will pick you up in the centre of Santa Cruz de Tenerife. At 11am, you will leave towards the best zoological park in Europe, which offers lots of fun, shows as well as excellent services and facilities. Later, enjoy Loro Parque on your own until our transport service picks you up again at 3pm at the entrance to this zoological park to take you back to Santa Cruz. Discover what other excursions from Santa Cruz you can book with us. Loro Parque entrance ticket: Adults €37.00. Children under 11: €25.00. Children under 6: €0.00. Transportation: Adults €19.00. Children under 11: €09.50. Children under 6: €0.00. Our excursion to Loro Parque, which includes Loro Parque tickets with transport, lasts from 11.00am to 4.00pm. It is absolutely necessary to produce the booking confirmation of your Loro Parque tickets with transport, either printed or displayed on a mobile device. Check our Terms and conditions for information on other reasons for cancelling your Loro Parque tickets with transport. In case of Loro Parque tickets with transport which include a discount for children or local residents, a supporting document is required to prove entitlement to discount. If you are in the upper part of Santa Cruz, the meeting point for the Loro Parque transfer service is at the Barceló Contemporáneo Hotel at 10.45am. If you are in the lower part of Santa Cruz, the meeting point for the Loro Parque transport service is at the Alameda del Duque tourist bus stop (Avenida Marítima) at 11.00am. If you wish to go to Loro Parque from La Laguna, meet us at the right corner of the Nivaria Hotel at 11.15am. Where does this tour depart from? How much time will I spend in Loro Parque? The visit to Loro Parque lasts approx. 3 hours and 15 minutes. Will I have to queue to buy the entrance ticket when I arrive at Loro Parque? No. This activity includes the Loro Parque entrance ticket, which is why upon your arrival you will enter the park directly through side access gate. Can I book this activity if I am staying in La Laguna? Yes. We will indicate the nearest pick-up location. Pets are not allowed on the Loro Parque + Transfer activity. Does transportation from Santa Cruz to Loro Parque include return journey? Yes. We will drop you off in the same spot which we will pick you up from. Do I need to print the confirmation of my booking for Loro Parque + Transfer from Santa Cruz and La Laguna? No, it’s not necessary. You can download it and display it on the screen of any mobile device (phone, tablet, etc.). 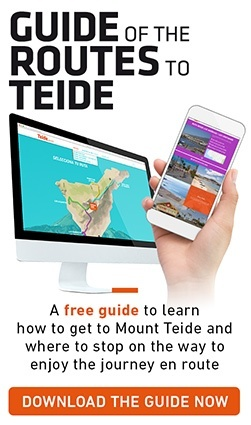 Check out the weather on Mount Teide! Volcano Teide offers the following safe payment methods. Teleférico del Pico del Teide, S.A. This website does not organise or sell combined trips. Complaint forms are available to Customers in our offices located in Calle San Francisco No. 5, 4th Floor, CP 38002, Santa Cruz de Tenerife. Opening hours: Monday to Friday from 8am to 4pm..